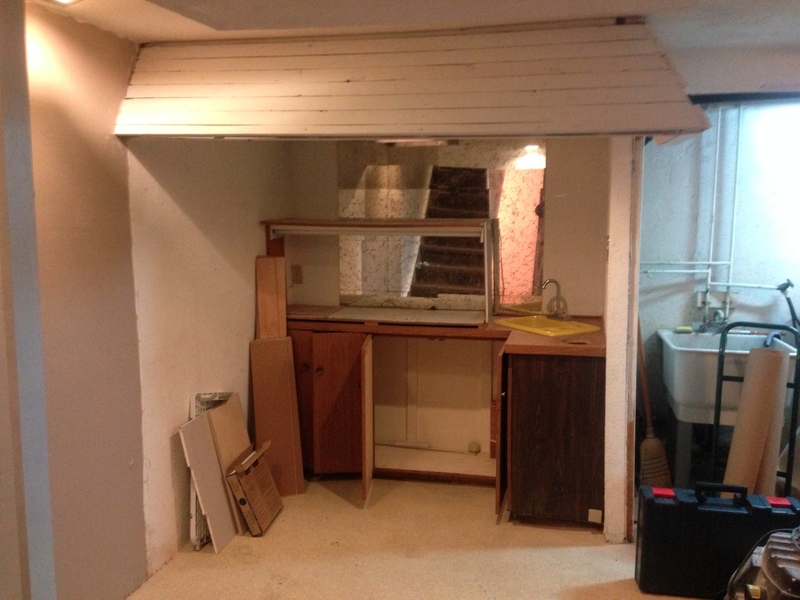 Rick is adding a 6.5′ x 6.5′ 3-piece bathroom to his basement… in place of his current tiki bar. Before: Tiki bar. Who needs to go south when you have this in your basement? Day 1: The tiki bar is gone. 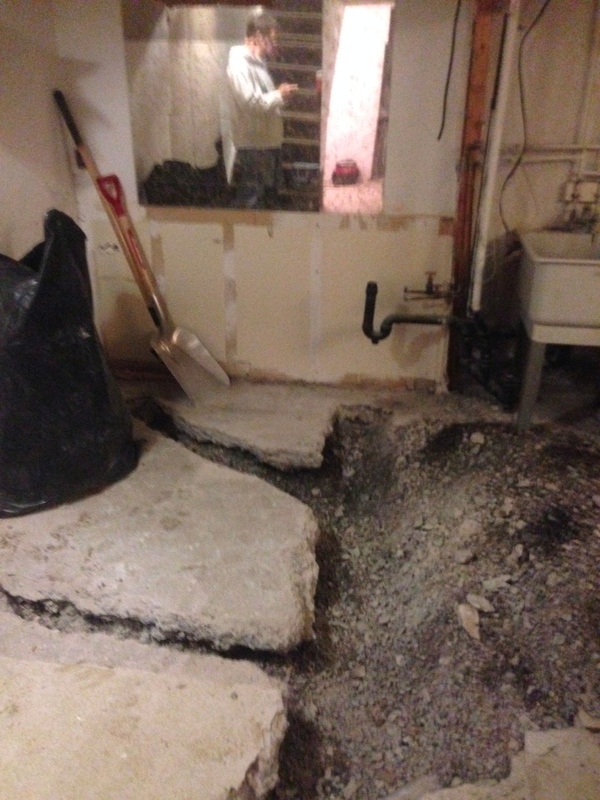 We’re breaking up the concrete to create channels for the new bathroom drainage. 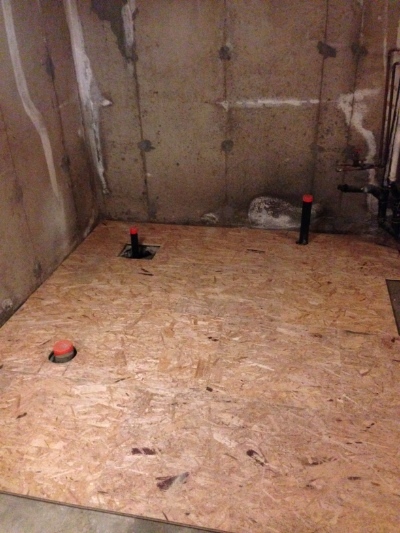 Day 5: Dricore is laid, leaving the plumbing exposed. Next we’ll frame the room. 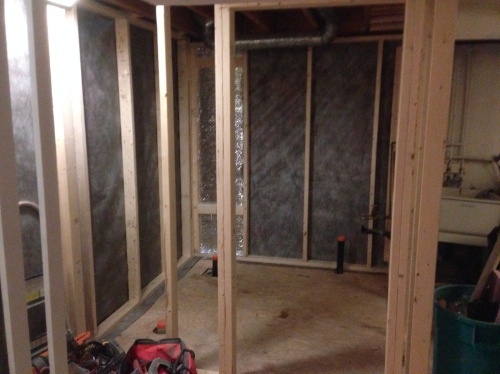 Day 5: Framing is complete for this bathroom in the basement. 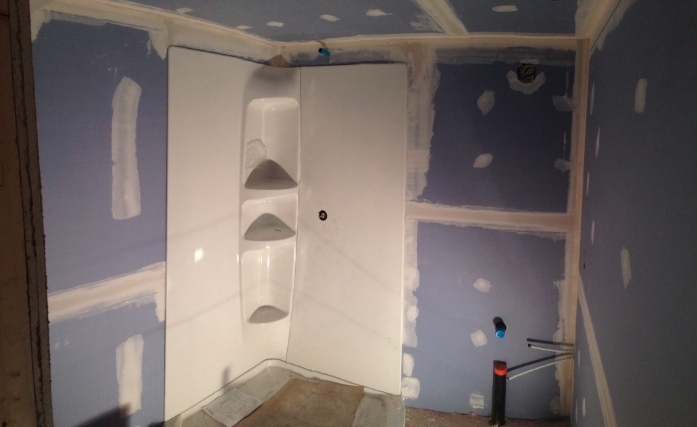 Day 8: A layer of sound insulation followed by two layers of drywall and the first coat of drywall. 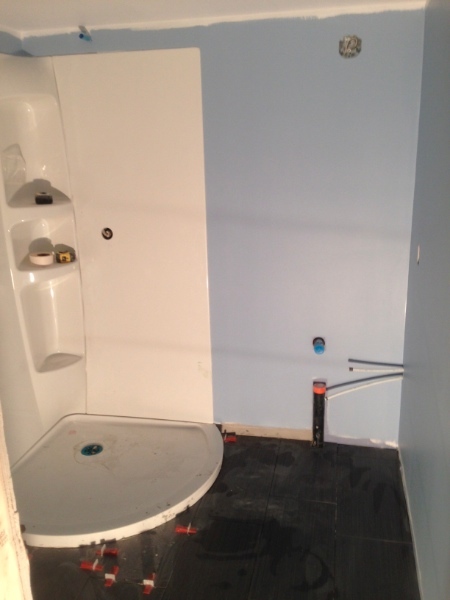 And, the shower wall system, chosen by the homeowner, is installed. Day 10: Drywall sanding and priming complete, ceiling painted twice in white, one coat of Martha Stewart ‘Hydrangea’ on the walls AND floor tiles laid. Grouting on Monday. Really looking forward to having a light in here. Day 12. 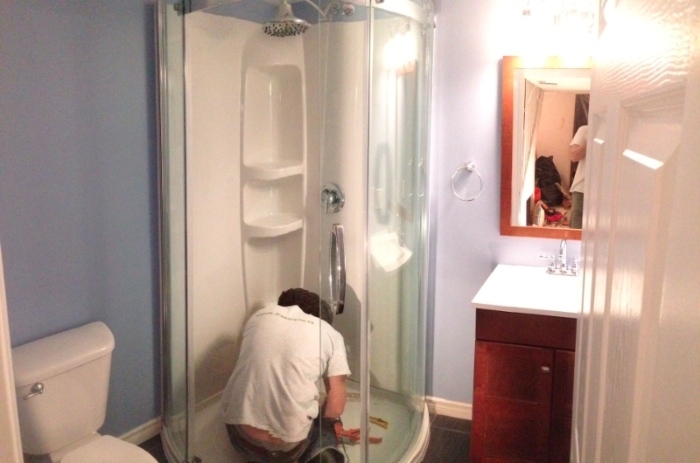 Everything is installed and Donald is caulking the shower. Just paint touch ups to do and a good clean. 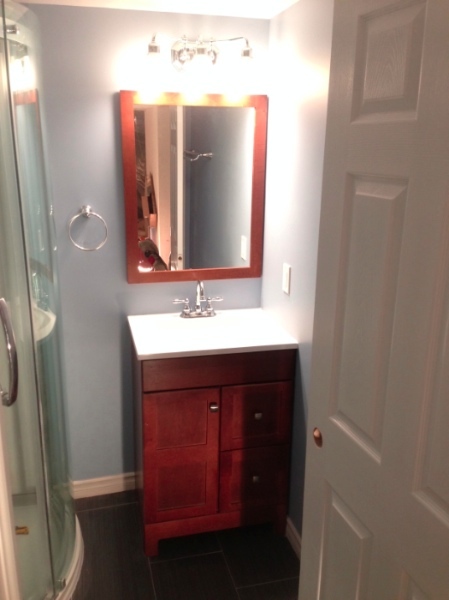 Day 12: Vanity is installed. 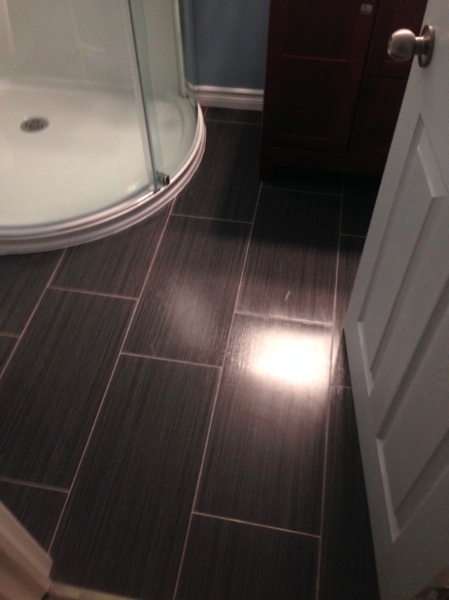 Day 13: Great tile choice. 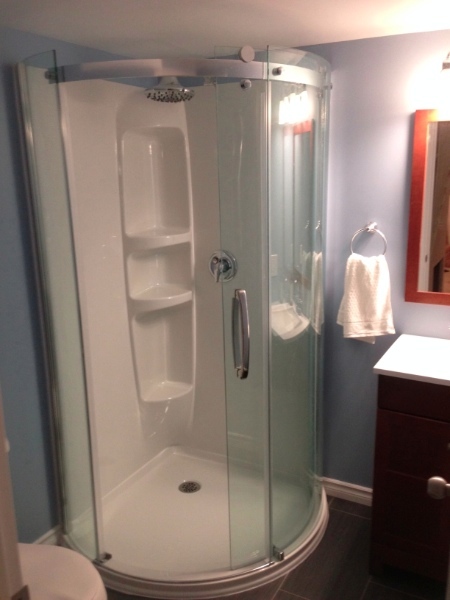 Day 13: The bathroom is complete.